Right so, on my 4 week summer holiday in August I bought these delicious high waist jeans from American Apparel in the US, so was a TONNE cheaper than the prices over here! 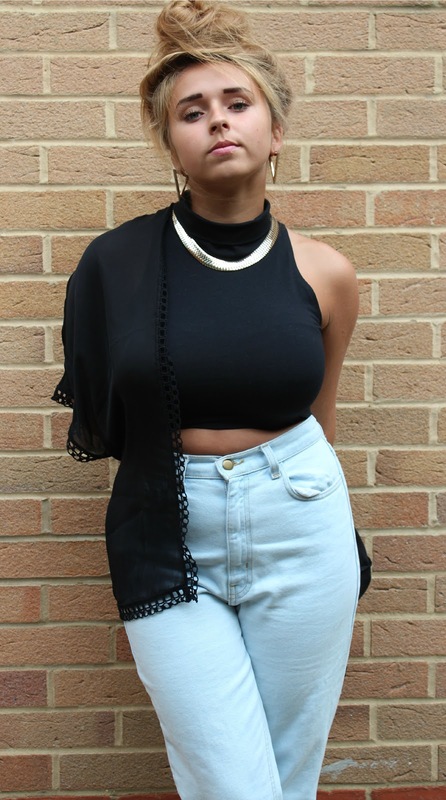 I have a waist, and I most definitely have hips, I personally think the high waisted denim suits curvy girls as well as the more petite girls, what do you think? 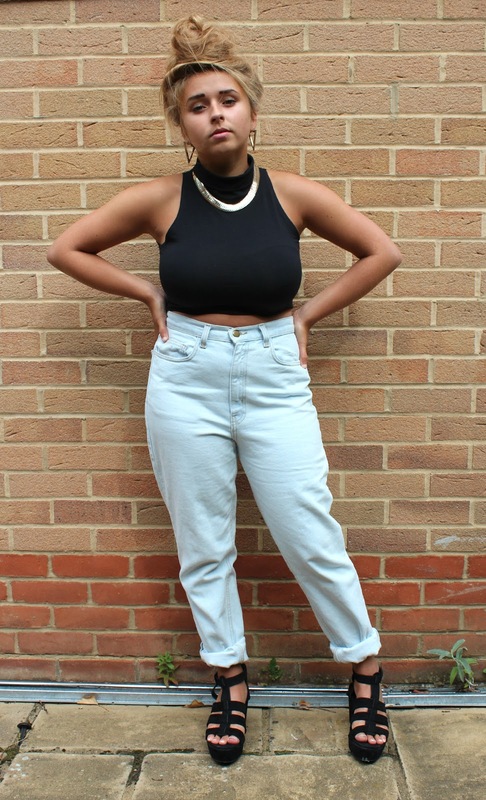 Do curvy girls suit high waist? They were a size larger than I am, I was originally after the 29 waist instead of the 30 but they were out of stock! And I couldn't wait any longer to have my hands on them! The thing I love about these jeans, are the height of the high waist, American Apparel go real high on their high waisters which I ADORE, unlike some places you find which are not high waist enough for my liking! The only thing I would had liked different about these jeans is the skinniness, they are quite large around the leg area, I would had rathered them more skinny since it would had made me appear less larger. and a pair of plain black wedges which were a BARGAIN for only $7 in a Orlando shopping mall. To accessorized I wore a gold collar necklace from H&M which was a price steal of only £3.99! works SO good with these crops and with jeans. The earrings are Topshop, I must wear these 5 out of 7 days a week! from Forever 21, they are SO good with their prices and I had been looking for something like this for ages, it helped on some nights while in the US since it did get a tad nippy at times. but I'm not a fan of my toes!! Tell me what you think of this outfit! ?